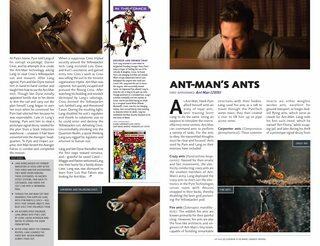 Ant-Man steals the spotlight as the MCU Guidebooks’ comprehensive coverage of the fan-favorite Marvel Studios films and Marvel Television shows continues! 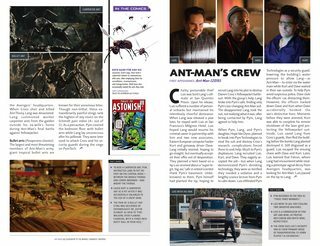 Featuring fact sheets, screen-to-comic comparisons and production stills, this issue is packed with profiles and updates on Ant-Man characters including Scott Lang, Hank Pym, Hope van Dyne, Darren Cross, Antony, Mitchell Carson, Falcon, Peggy Carter and Howard Stark! 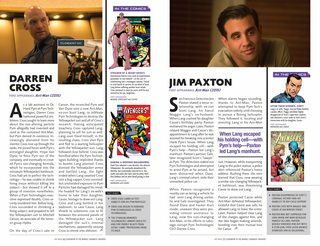 Relive the thrills of 2015’s Ant-Man, and continue building your indispensable library of Cinematic Universe reference books!